Kermit. The loveable green American icon was recognizable by his first name long before Britney or Madonna or even Cher came on the scene. Now Kermit the Frog will take his place in history. 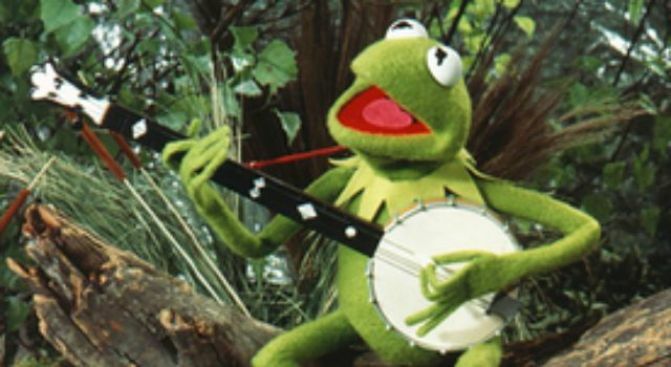 On Wednesday, the original Kermit and other characters from creator Jim Henson’s first TV show, "Sam and Friends," will be donated to the Smithsonian National Museum of American history. Jane Henson, a co-founder of the Muppets, will make the donation on behalf of the Henson family in a special ceremony, with the help of Willard Scott, the "Today Show" weatherman. We must pause here in the interest of full disclosure to note that “Sam and Friends” debuted right here on WRC in 1954 and thus Kermit and the rest of the Muppets have always held an extremely warm corner of the hearts of all those who labor within these halls. Now is also the time to note that Willard Scott held his own here as “Bozo the Clown,” the original children’s TV show that also aired on WRC. But back to Kermit, Jim Henson crafted the original creature from a green felt coat discarded by his mother and used ping pong balls for the eyes. Kermit will be joined by nine other creatures from “Sam and Friends.” They include Henson’s oldest surviving puppet, Pierre the French Rat, which was created in a comic strip Henson drew for his high school yearbook in 1954; Yorick, the purple skull with a big appetite that was a precursor to hungry monsters such as Cookie Monster; Mushmellon, a yellow monster-type creature whose wide face and grouchy eyes bear resemblance to Oscar the Grouch; and Sam, the main character from “Sam and Friends,” who never spoke but would lip-sync to popular music and comedy records of the time. Jim Henson died unexpectedly in 1990, at the age of 53.